GB would mean it is one of the 385 UK market cars. 50th means it is one of the 686 that went to export markets, the majority of which went to Japan badged as 50th - *** (which is where this one has come back from). The 50th badged cars have a few differences in trim specification to GB cars. 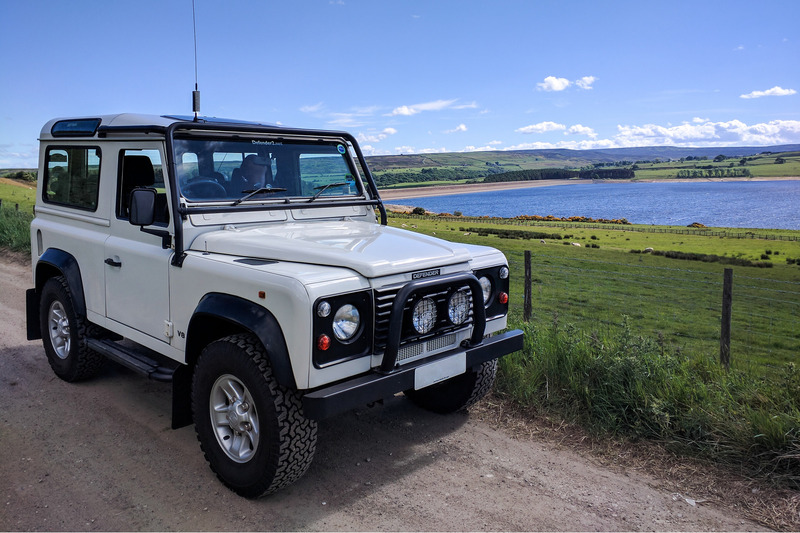 Having lived in a better climate, many are well preserved examples however for reasons that defy objective logic they are regarded as less valuable (by up to around £10K in some cases) than an equivalent GB badged car so they often represent good value in the Defender 50th market. I hadn't realised that the non-GB ones didn't have their own "country code". Rest of the world 50th's were also available in different colours, here's my Japanese spec one.